They aren’t bad this lot. The Queensland government has just awarded themselves a $57 000 pay rise and are now seeking to block a pay rise for public servants. I probably shouldn’t express what I think of this Queensland government in public. The link below is to an article that reports on the public outrage in Queensland. 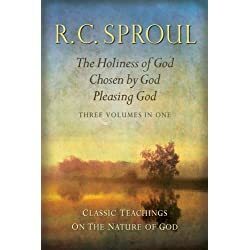 This is a wonderful book that seeks to bring to its readers something of an understanding of God’s holiness – the total otherness of God. It spoke to me and helped me to understand just what God’s holiness actually means.